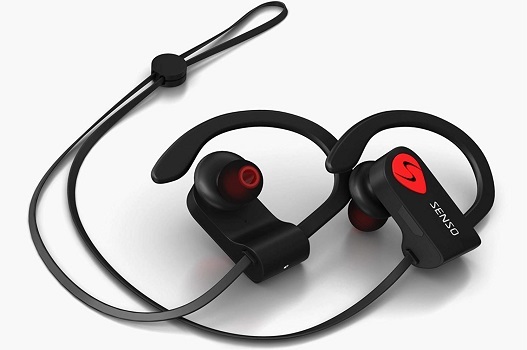 Wireless headphones allow you to enjoy music on the go without the hassle of tangled cables. So if you like to enjoy the benefits mentioned above, and looking for the best wireless headphone, the list below will simplify your search. 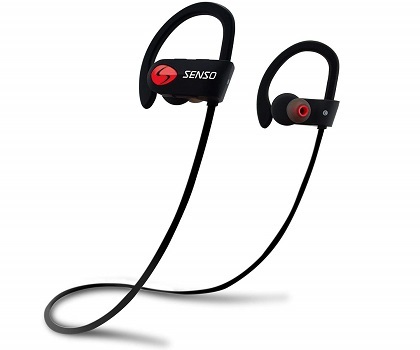 SENSO is compatible with all Bluetooth enabled devices connect with two smartphones at once. It allows you to enjoy HD stereo sound with unparalleled rock-solid bass with ultra crisp treble. • Great sound and bass. • You can use Google assistant while your phone is off. • Some slight static noise. • Static interference while streaming music via Bluetooth while watching movies. • State of the art acoustic components that produce incredible sound quality with deep bass and crystal clear treble. • Active buds feature ergonomically designed flexible ear hooks with gel Flex silicone earbuds to ensure your headphones stay comfortably firm in place to guarantee fatigue free ears and tangle free comfort. • Longest battery life - the new and improved Lithium polymer battery allows seamless enjoyment of music for up to 8 hours and 240 hours stand-by with a quick charge of only 1. 5 hours. 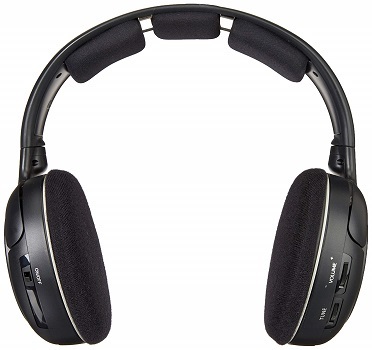 • With noise suppression technology focus on your favorite music and answer calls without skips or missed words. Mpow 059 can be paired easily and quickly with smartphones, tablets, TVs and other Bluetooth enabled music devices within 10 meters range. 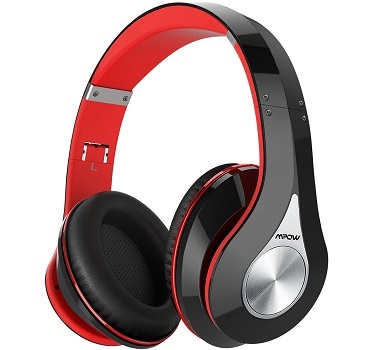 • Sturdy design, generous cushioning on the ear-cups. 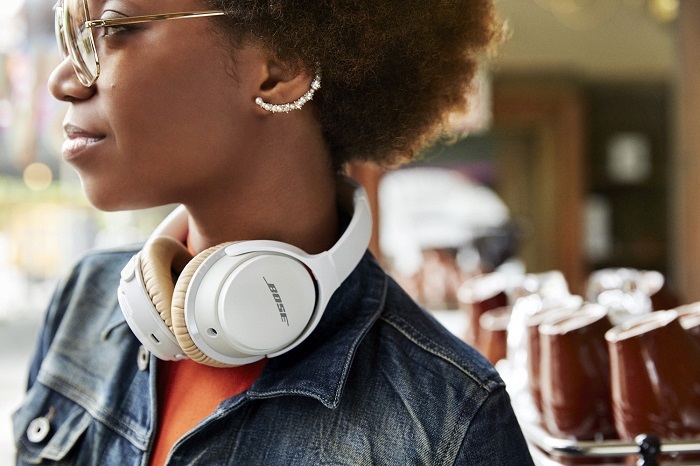 • No Active Noise Cancellation. • Does not come with a charging block. • The mic and panel controls will not work while in wired mode. 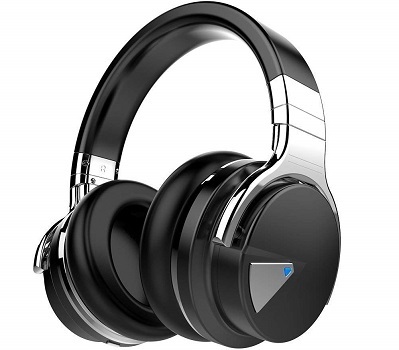 • Closed-back design provides immersive Hi-Fi sound with CSR chip and 40mm driver together. • The Memory-protein ear cushion simulate human skin texture, ensuring lasting comfort. • The stainless steel slider and softly padded headband allows you to find the perfect fit without constraint and provide excellent durability. 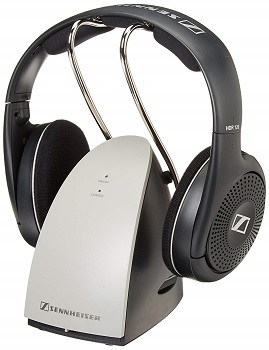 Sennheiser RS120 lets you enjoy sound without the cumbersome cables associated with traditional headphones. • Padded headband for comfort. • Good clarity and bass response. • Some hiss may mix with your music. • Includes wireless headphones, wireless transmitter that acts as the headphone charging dock and two AAA NiMH rechargeable batteries. 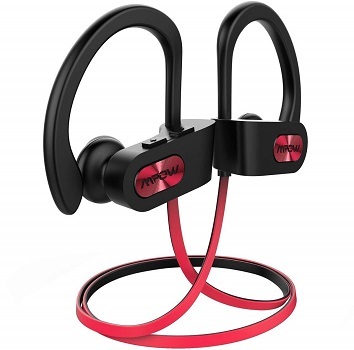 Mpow Flame provides stereo sound with high definition and unparalleled rock-solid bass while the IPX7 sweatproof rating protect the headphones and in peak condition whether you’re getting drenched in sweat after a grueling workout. • Very comfortable to use. • Good sound with clear call quality. • Audibly informs you when powered on, powered off, and low battery. • Earphones stayed in and did not fall out of ears during gym workout and cardio. • A bit bulky design and do stick out. • Not ideal for people with small ears. • Flimsy and weak rubber USB charging port cover. COWIN E7 comes with advanced active noise reduction technology quells airplane cabin noise, city traffic or a busy office, makes you focus on what you want to hear,enjoy your music, movies and videos. • The volume control is smooth and adjusts easily. • May start to distort a little close to maximum volume. • High-quality Built-in Microphone and NFC Technology. COWIN E7 provides high-quality built-in microphone for hands-free calls, which is convenient for you to free yourself from wires. NFC pairing aided by voice prompts, promises quick and stable connection with your Bluetooth enabled devices. • The professional protein earpad and 90° swiveling earcups for better durability and comfort. Skin texture, lightweight comfortable around-ear fit you can wear all day long. • 30 hours playtime per charge at Bluetooth Mode. A built-in 600mAh battery won't allow your headphones power off, you can enjoy your world without noise for 30 hours' long time.